Home > Free Samples Australia > Score FREE GEBURT Diaper Bag! Score FREE GEBURT Diaper Bag! Geburt Bags have an amazing free offer for you! They are giving you the chance to get a free diaper bag! You simply need to enter your email adress and share your unique link with your friends. Feel free to share your unique link in the comment section! 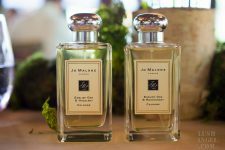 Get FREE Sample of Jo Malone English Oak Fragrance! !